Cook the penne in boiling water until al dente, then drain it and set aside. Heat the olive oil in a heavy sauce pot over medium heat and add the onion. Cook the onion slowly for about 5 minutes, or until it just begins to change color. Add the garlic and cook another few minutes, or until the onions and gralic are browned but not burnt. Stir in the hot pepper, rosemary, and salt; stir and cook for a few seconds to bring out the pepper and herb's flavors, then add the tomatoes and broth. Bring the broth to a boil, then lower it to a simmer. Then add the broccoli and chickpeas. 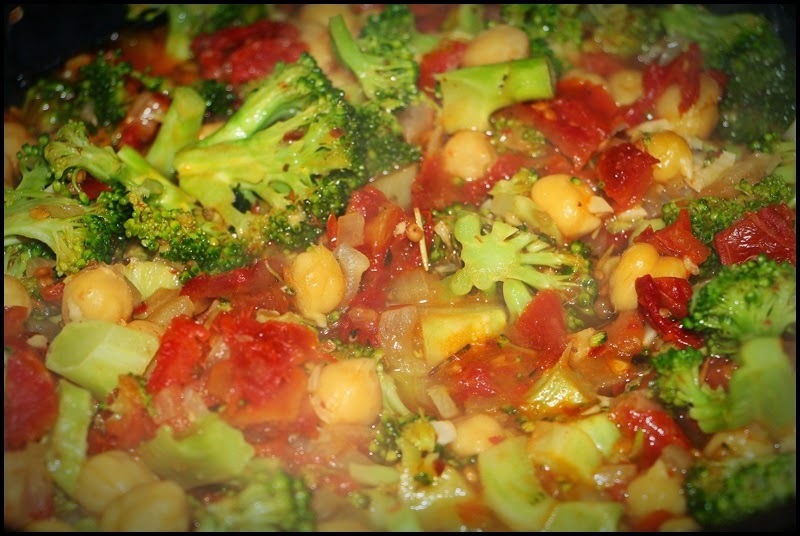 Simmer the broth for about ten minutes, while gently stirring the broccoli and chick peas. After the broth reduces a bit, and the broccoli is nearly cooked, add the cooked pasta. 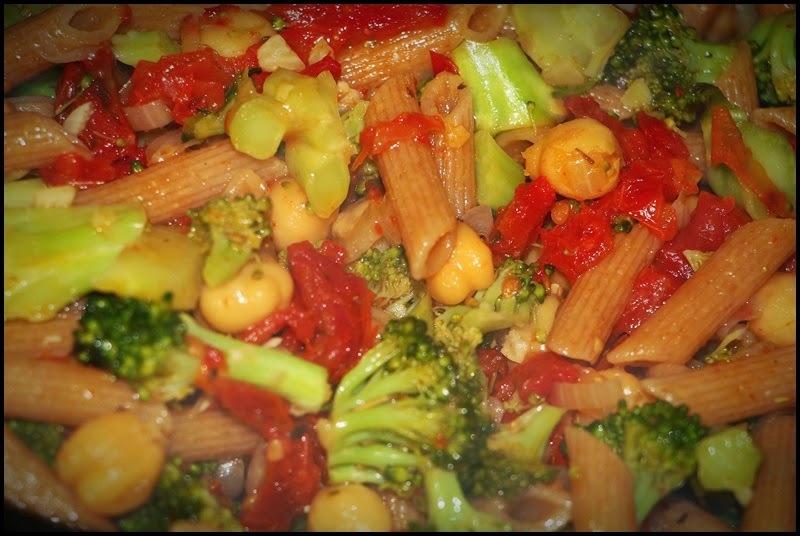 Gently cook and fold the pasta into the vegetables and broth for a couple minutes. Remove the pot from the heat and stir in the cheese.